For those who have heard of Westip girths, which are popular in Europe, Ghost has teamed with Westip to make a custom elastic webbing with the Italian flag colors. The entire length is slightly elastic for comfortable grip to the horse. Great help if saddles slip front-back or side-side on your horse. 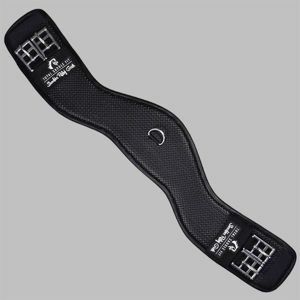 These girths are also very thin, so if your horse is smaller or the saddle is likely to put the girth into the armpits of your horse, the Ghost Westip is a great choice. 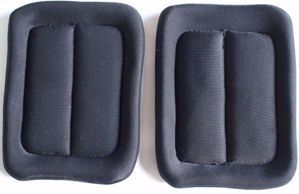 Girths are available in 5cm increments. 60cm is roughly 24". Medicinal sheepskin cover for the Westip girth. There is a slot for the center dee for breast collar attachment. Available in natural sheepskin only (no dyes).